Moses Hilkowitz was born in Riga, Russia on 1st August, 1869. When he was seventeen he emigrated to the United States. He settled in New York and changed his name to Morris Hillquit. Hillquit became involved in left-wing politics. This included working for the Socialist Labor Party and establishing the United Hebrew Trades, a trade union for Jewish garment workers. In 1891 Hillquit entered New York University and after graduating two years built up a successful legal practice. According to Barbara Gelb, the author of So Short a Time (1973), Hillquit "made his legal reputation as a defense lawyer in some of the prominent labor disputes of the 1900s." 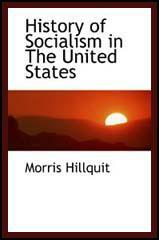 In 1901 Hillquit joined with Eugene Debs and Victor Berger to establish the Socialist Party of America. The party's leading theoretician, he wrote History of Socialism in the United States (1903), Socialism in Theory and Practice (1909) and Socialism Summed Up (1912). Hillquit was totally opposed to the Industrial Workers of the World and of the faction that urged labour activity independent of the American Federation of Labor. He led the campaign to have William Haywood removed from the National Executive Committee of the Socialist Party of America. Over the next few years he continued to argue that socialism would be achieved through the democratic system. A strong opponent of United States involvement in the First World War, Hillquit help defend members of his party charged under the Espionage Act. In 1917, The Masses came under government pressure to change its policy. When it refused to do this, the journal lost its mailing privileges. In July, 1917, it was claimed by the authorities that cartoons by Art Young, Boardman Robinson and H. J. Glintenkamp and articles by Max Eastman and Floyd Dell had violated the Espionage Act. Under this act it was an offence to publish material that undermined the war effort. Hillquit was chosen to defend the magazine. The legal action that followed forced The Masses to cease publication. In April, 1918 the jury failed to agree on the guilt of Eastman and his fellow defendants. The second trial in January 1919 also ended with a hung jury. As the war was now over, it was decided not to take them to court for a third time. Hillquit twice failed in his bid to become mayor of New York. In 1924 he gave his support during the presidential campaign to Robert La Follette and the Progressive Party. The historian, Paul Buhle, has argued that he was gradually losing his power over his followers as "the new generation of radicals no longer shared his calm confidence in socialism's inevitable, peaceful, parliamentary advance." 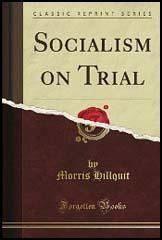 Other books by Hillquit include Socialism on Trial (1920), From Marx to Lenin (1921) and his autobiography, Loose Leaves from a Busy Life (1933). Morris Hillquit died of tuberculosis on 7th October, 1933.